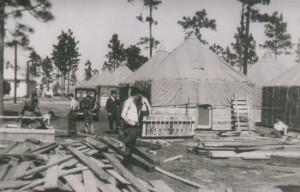 Upon learning from Guatemalan internees that Camp Blanding in Starke, Florida was used as a detention facility during World War II, the GAIC contacted the Camp Blanding Museum and Memorial Park. Major Greg Parsons, museum curator, advised us as follows. 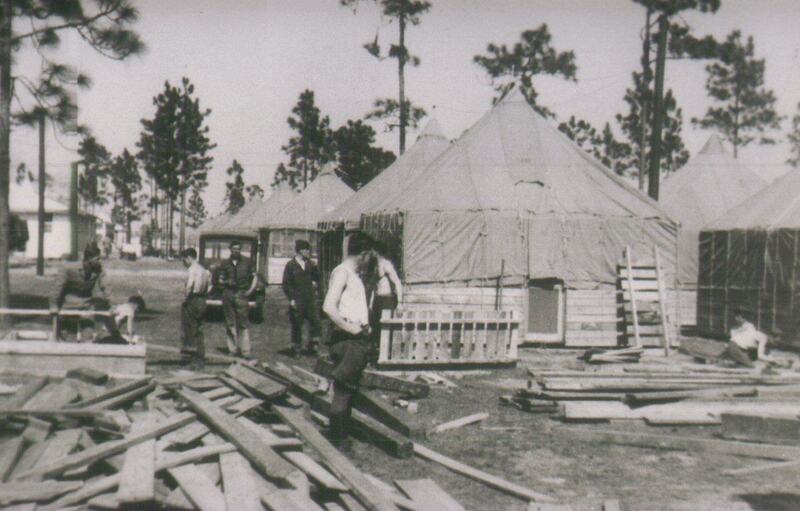 The German enemy aliens who were interned at Camp Blanding came from Costa Rica, Guatemala, and Panama. The first group of 152 arrived in January 1942. This group consisted of 35 Germans from Costa Rica and 115 from Guatemala. Included also were 2 Italians, one each from Costa Rica and Guatemala. In April, 18 German Jews arrived at Blanding from Panama. The enemy aliens were interned in Blanding’s Stockade #2. Major Parsons knows where this facility was on the post but nothing remains of it. The stockade was originally built to house US service personnel who were under arrest for various reasons. The enemy aliens were housed in pyramidal tents, about 15 feet square with a wooden frame, similar to the ones US service personnel were housed in. Each tent housed 4 or 5 persons. The stockade was surrounded by a double 10 foot fence topped by barbed wire and measured 110 by 150 yards. All the enemy aliens were moved from Blanding during the summer of 1942 to permanent camps in Camp Kenedy in Texas, Stringtown, Oklahoma, and Camp Forrest in Tennessee. After first signing declarations not to take up arms against the Allies, German Guatemalans sent to Stringtown (reportedly plagued by fleas while there) and other internees were shipped back to Germany via New York and Sweden on the SS Drottningholm in late July 1942. Wagner, Regina. Los alemanes en Guatemala (The Germans in Guatemala), 1828-1944 Guatemala 1996. According to German Guatemalans on that voyage, Hugo Droege and Joseph Leber, this deportation to Germany was against their wishes. (See also: Latin American Resident Internees) For further information on Camp Blanding, visit its website.